QuickBooks Pro 2016 Small Business Accounting Software helps you organize your business finances and accounting on a Windows PC. Easily get set up, learn, and use. No accounting knowledge is necessary and you can quickly import your data from a spreadsheet. Easily create invoices and get paid faster with online invoicing and manage expenses. 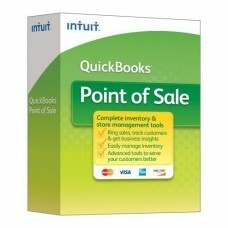 Get 100+ financial accounting, sales and tax reports in one click. 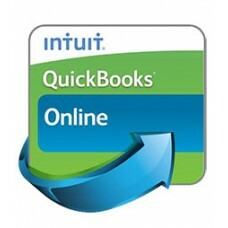 And, QuickBooks accounting software ensures you’ll have reliable records for tax time. Have questions? Step-by-step tutorials show you how to create invoices, record expenses, and more. Includes a 60 day money-back guarantee. 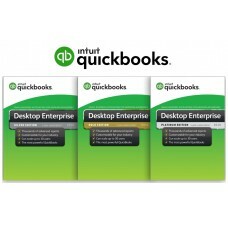 Special Offer: Your purchase of QuickBooks Desktop Pro 2016 Small Business Accounting Software includes Free Year of QuickBooks Support Online. Ring Up Sales & Manage Inventory Process transactions and accept credit cards. Track inventory a..
Advanced Reporting1 improvements! - Critical information at your fingertips.Bill Tracker provides a ..
Make your work much more easier and faster with Next Generation QuickBooks – QuickBooks Support Onli..